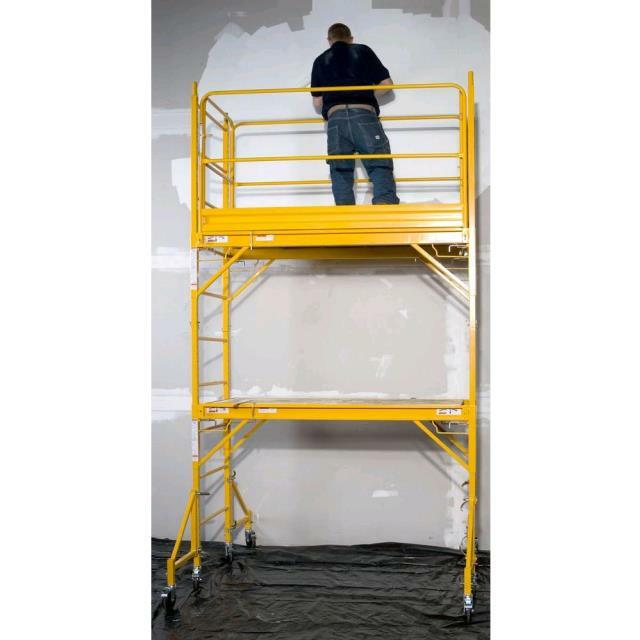 This scaffolding comes complete with 2 2' narrow ends that are 6' height. 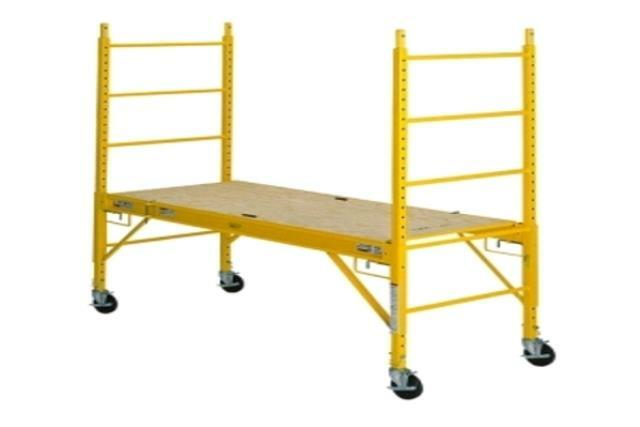 It has 4 4' casters for rolling a plank and is equip with guard rails at the top and out riggers at the bottom. 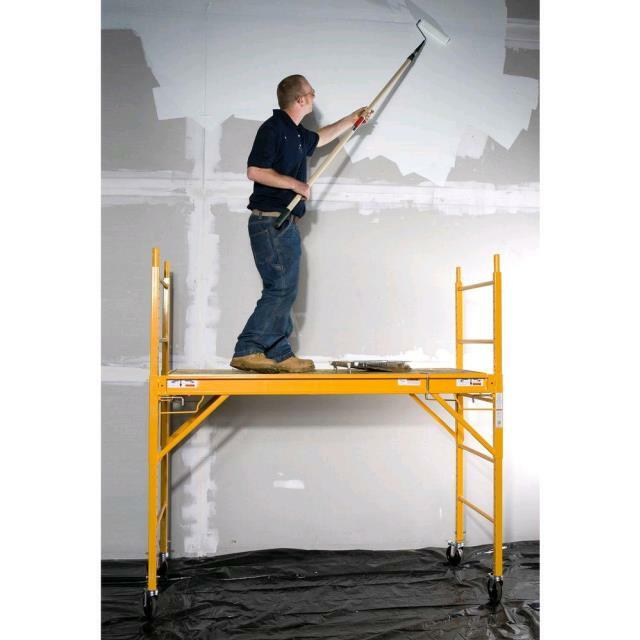 These are excellent for use on stairs, but use extra set up for 12' working areas. All areas are 1" spaced to get to the height you need. 6' x 29" total work area.